^ "Reign of Terror: 1793–1794." PBS. September 13, 2013. Accessed March 26, 2015. [www.pbs.org]. 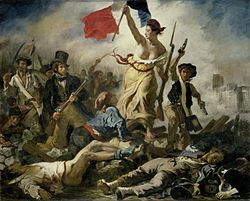 ^ "French Revolutionary Wars." Find the Data. Accessed March 26, 2015. [wars.findthedata.com][permanent dead link]. 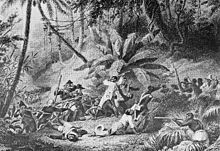 ^ "Haitian Revolution." Find the Data. Accessed March 26, 2015. [wars.findthedata.com][permanent dead link]. ^ a b Rand, David. 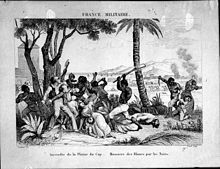 "The Haitian Revolution." 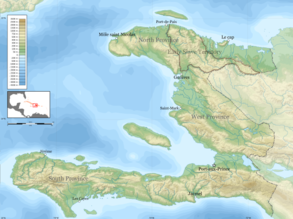 The Haitian Revolution. Accessed March 25, 2015. [scholar.library.miami.edu][permanent dead link] individual_essay/david.html. ^ a b Findlay, George Gillanders; Holdsworth, William West (1921). "The History of the Wesleyan Methodist Missionary Society, Volume 2". Epworth Press. p. 258. Retrieved 22 January 2017.